My Granbury Family! - Hood County Events and Deals for Your Family! : Halloween Freebies in Hood County! 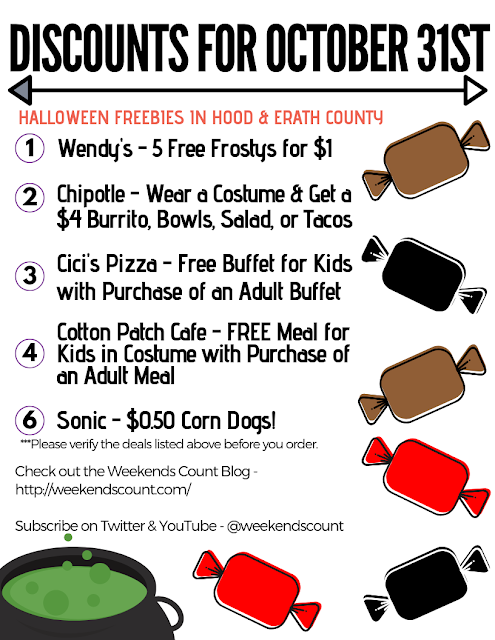 Halloween Freebies in Hood County! What to Do In Granbury? Something AMAZING is Coming Soon! Granbury, Texas! Are you ready? Something AMAZING is coming soon!